On 11th March judgement was handed down in the Supreme Court in a financial case arising out of a divorce which was made final in 1992. Most people, quite understandably, believe that once a divorce is finalised – when Decree Absolute is granted – that is the end of the matter. In fact, the financial claim remains open even after the divorce. In the case of Wyatt v Vince, the wife (Wyatt) asked the court to determine whether she could still pursue a financial claim, despite the passage of 23 years since Decree Absolute was pronounced. As the lower courts rejected her claim she appealed all the way through to the highest court in the land, the Supreme Court. Decisions of the Supreme Court become binding legal precedent. In most other areas of law there are limitation periods, set out in statute, which prevent claims being made after a certain number of months or years. The Wyatt case now makes clear that there is no such limitation period in divorce cases. The facts of this case are quite unusual. When the parties were together they had no money, they lived as new age travellers. Some years after the divorce, the husband became extremely wealthy as he ran a highly successful green energy business. The original divorce file had become lost but the Supreme Court said that there was no reason to believe that the parties had entered into a financial clean break order. A clean break would have dismissed the wife’s claims on the husband’s assets and vice versa. Many divorcing couples of limited means do not have a financial clean break order. This may be because they are not advised on the financial aspect of the divorce; they are not in a position to pay the extra costs involved in obtaining a clean break or because of the limitations of legal aid. Our advice is and always has been that a financial clean break order, separate from the divorce itself, is the only way to end the financial obligations of the marriage. The classic question we ask clients is: “what if you win the lottery, would you like your ex to have a claim on your winnings?”. If the answer is no then then we advise that we should, at the very least, ask the other party if they will agree to a clean break. 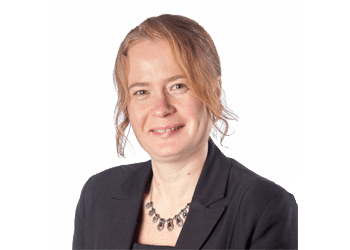 This case reinforces the need to consider the financial claim arising out of the divorce, even in cases where neither party has any assets. The High Court will now determine how much Ms Wyatt will receive from Mr Vince; no doubt he wishes a clean break order had been made within the original divorce proceedings. I get the feeling that in the fullness of time there will be more of these cases and a massive increase in possible malpractice / legal advice issues? I feel certain that the majority of people are not aware that a divorce isn’t necessarily final. Previous Post ASK ROSS: No one expects you to understand the entire conveyancing process, particularly if you are a first time buyer. This month, Ross highlights the key points to keep in mind.